Why does Oakland promote and hire people from within the organization who are not qualified or experienced in the required areas of expertise? The last two public works directors — Brooke Levin and now Jason Mitchell — did not have engineering backgrounds. In almost every other city in California, the basic job requirements for the position are a degree in engineering, extensive job experience in a city as an engineer, and usually an RCE (registered civil engineer) license. In Oakland, all it takes is an administrative background and no engineering experience. Perhaps that is why the city has the problems it has at all levels. People in leadership roles throughout the organization are not qualified or experienced enough to lead. I am sorry, but a department head of programs delivering engineering operations should know something about engineering. I'm thrilled Gabrielle Canon and others are writing about the corruption, inefficiencies, and mismanagement that's gone on in Oakland for decades now. I feel so frustrated that I write Councilmember Dan Kalb, the East Bay Regional Park District, and Mayor Libby Schaaf, yet never get a reply, and that is how my other neighbors feel as well. What a fiasco: environmentally and politically. Ultimately, this is a result of the city of Oakland not managing its spending and general fund to prioritize services. It breaks my heart to read and see this, and as a person of color and culture, I have noticed that there's an underlying "It's All About Me" when this is happening to other people of color as well. You're not alone in this fight. The only permanent cure for assuring a field of good candidates for the office of city auditor is either to raise the compensation to market level for CPA's in private industry or to eliminate the professional license requirement for the position. Because the city auditor is supposed to select areas to audit and provide overview of the audit design, we don't need professional auditors in that position. Many local governments do fine with non-accountants as auditors. And as we've learned with both our current auditor and at least on prior auditor, a CPA license is no guarantee of anything. This is a very important piece, and I appreciate the publishing of it. 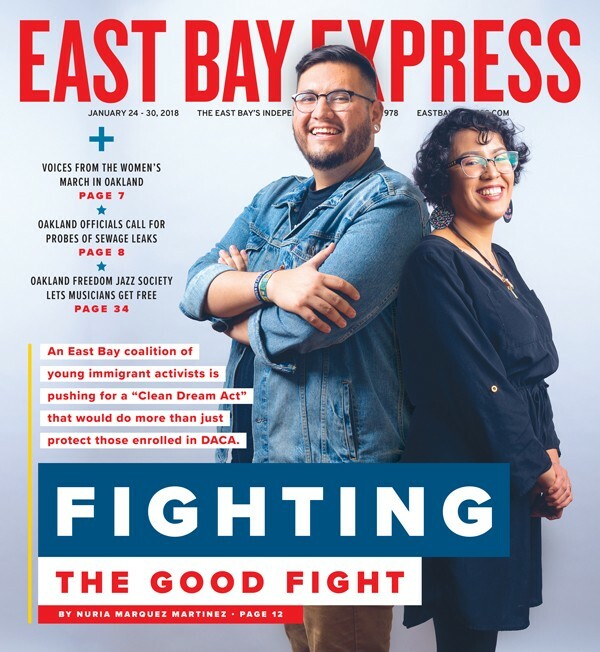 As a former ethics commissioner for the city of Oakland, I agree that we need to explore how our electeds are doing and always have alternatives to our needs. I was a huge fan of Courtney Ruby and did appreciate Auditor Brenda Roberts' role more as a result of Ms. Ruby's abilities made me pay attention to this important role. It all requires accountability. And it all matters. Do I need to remind readers that for the November 2014 city elections, the Express' endorsements included Brenda Roberts for city auditor? The Express editor then was Robert Gammon, the writer of this piece.